The goal of makeup is to create an illusion of a flawless face, but even though foundations and powders seem to brush away all of the skin’s imperfections, applying makeup can actually brush on the blemishes people often try to cover up. Many like to believe that it’s their makeup that’s causing their face acne, but in most cases it’s usually their cosmetic brushes that are doing the damage. This is because women are putting more than just makeup onto their faces, but also accumulated bacteria that has been stored between the bristles of their brushes. Every time makeup is applied, dead skin cells and oils transmit from the face onto the brush, and dirt along with built-up makeup transfer from the brush onto the face, and this exchange of bacteria leaves the brush dirty, ultimately creating pimples and blackheads. But makeup experts say this ongoing vicious cycle of applying and creating can be stopped by simply washing the makeup brushes weekly. So stop brushing on the acne, and start brushing them away! 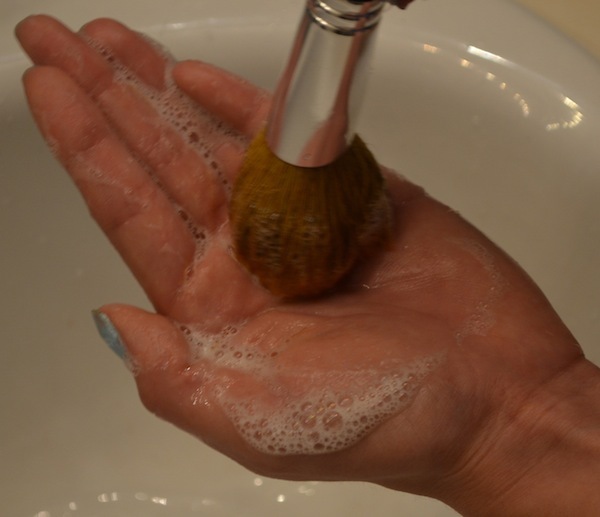 1) Makeup brushes can be very expensive, so it’s important to use a gentle soap to keep them in good condition. With that being said, go to a local drug store or supermarket and buy any brand of baby shampoo. 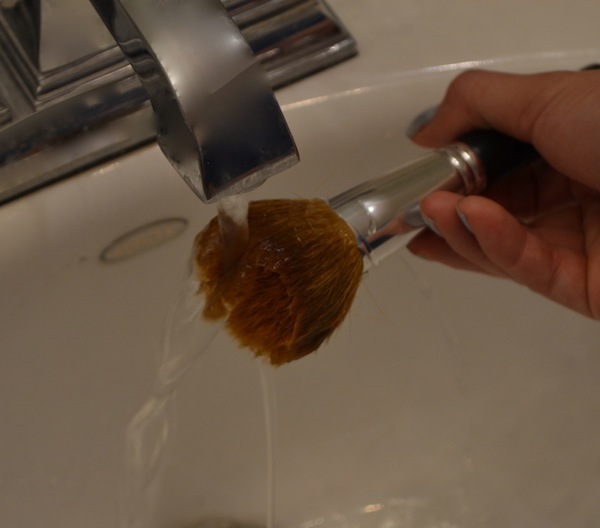 2) Soak the brushes under warm water. 3) Make sure to wash the hands thoroughly before cleaning the brushes, or else it will defeat the purpose of cleaning the bacteria in the first place. 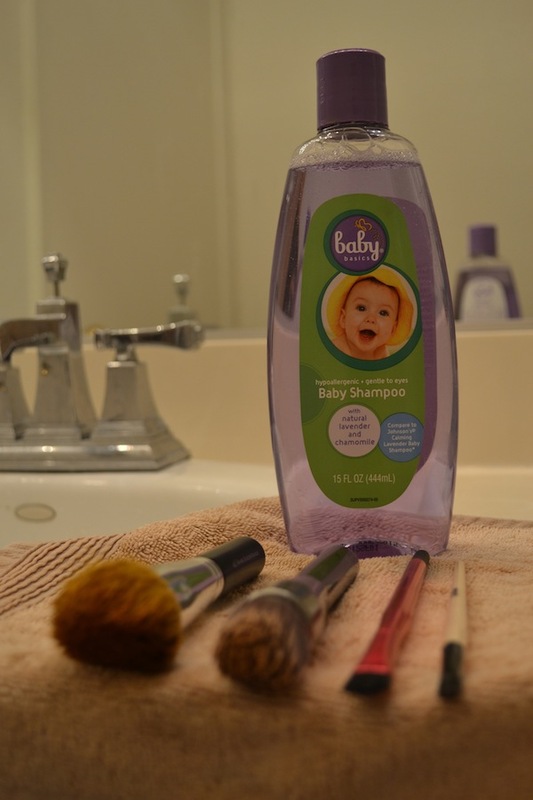 Then pour a dime-sized drop of baby shampoo in the palm of the hand. 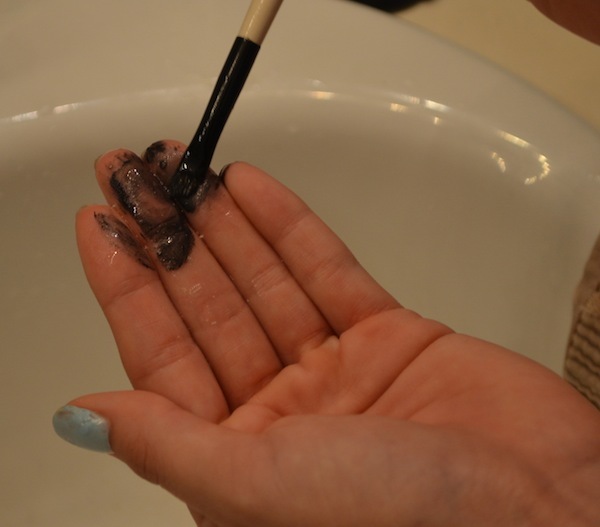 4) Now gently move the brush in a circular motion on the palm of the hand. You’ll notice the white soapsuds will become brownish because of the makeup. 5) Remember, it’s not just the face brushes you should be concerned about… Eyeliner and eye shadow brushes should be washed too because the bacteria could also cause eye infections. 6) After lathering the brushes with soap and rinsing them under warm running water, hang them over the counter to air dry. 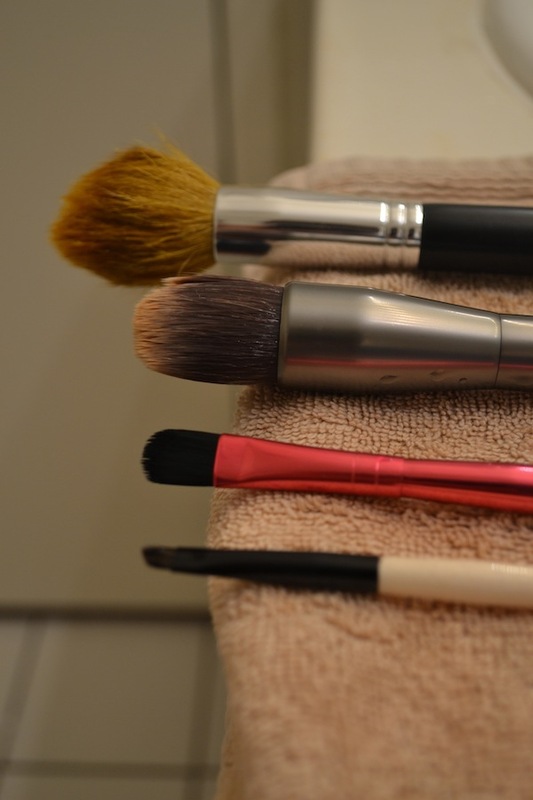 Final Tip: Experts suggest using Wet Ones or any type of makeup cleanser wipe on your cosmetic brushes after every brush use to prevent bacteria from building up right away.